The Cherokee and the Mazda CX-5 are designed to provide you with the power you need to enjoy your adventures. At our dealership, you can find out more about these vehicles and determine the best option for your situation. Both vehicles offer outstanding safety features, good reliability ratings and powerful engines. However, the Cherokee offers better engine options and improved features over the Mazda CX-5. Give us a call or stop by our dealership so that we can show you the various options available for your next vehicle purchase. Decide between the 2019 Jeep Cherokee vs 2018 Mazda CX-5 at our dealership in Boulder Colorado. When it comes to safety, you want a vehicle that is designed to protect you. The Cherokee comes with a host of features that can help keep you well-protected. 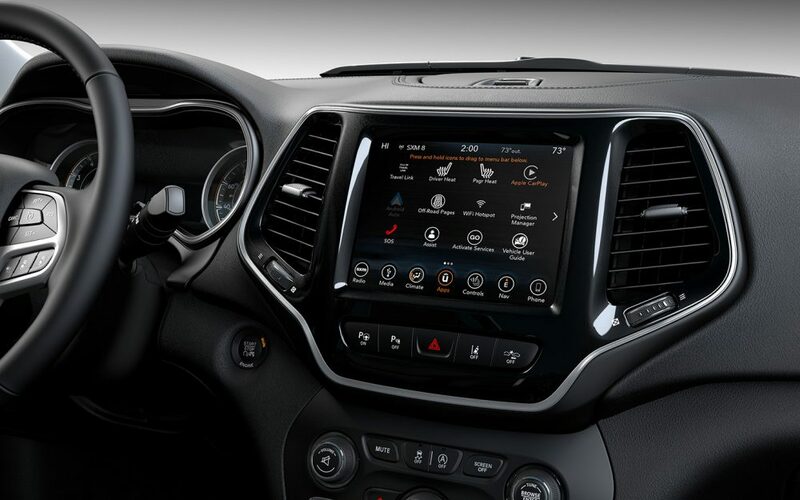 One of the nice features about the Cherokee is that it has the option of getting the ParkSense with rear Stop feature that is designed to use rear sensors to monitor road conditions. If needed, the vehicle can automatically apply the brakes to help prevent a collision when backing up. This is a much-needed feature that is not available on the CX-5. Additionally, there are some structural considerations that make the Cherokee a better option. The Cherokee is designed to withstand the impact of a collision more successfully than the CX-5. Even though both vehicles have options like air bags, antilock brakes and electronic stability control, the Cherokee puts in those final touches that make it a better option overall. The 2019 Jeep Cherokee offers more value and features vs. the 2018 Mazda CX-5. At Pollard Jeep, we are proudly serving Boulder Longmont Denver area residents. Compare the interior features of the 2019 Jeep Cherokee vs 2018 Mazda CX-5 at our dealership in Boulder Colorado. 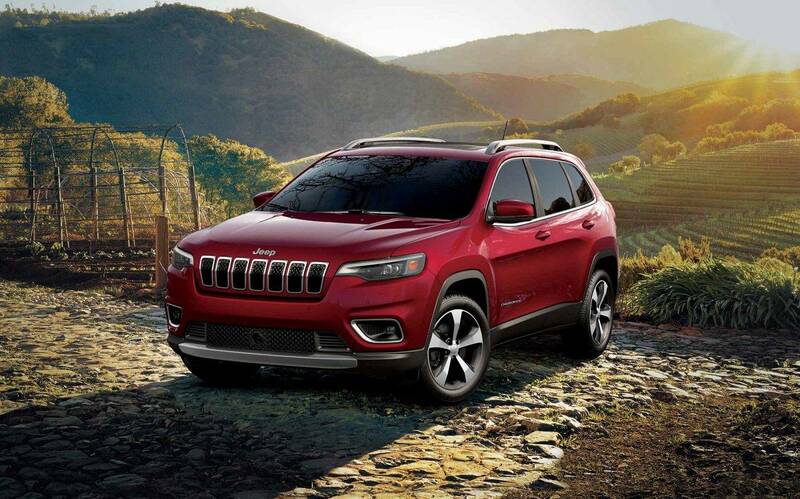 Both vehicles are designed with updated technology, but the atmosphere of the Cherokee is more inviting. With the Cherokee, you’ll get more legroom, more shoulder room and more cargo capacity. The Cherokee has a locking glove box that the CX-5 lacks. Additionally, the lift gate on the Cherokee can be opened simply by putting your foot underneath the back bumper. This is an exceptionally valuable convenience feature if you often find yourself shorthanded at the grocery store or when packing up your gear for your next trip. 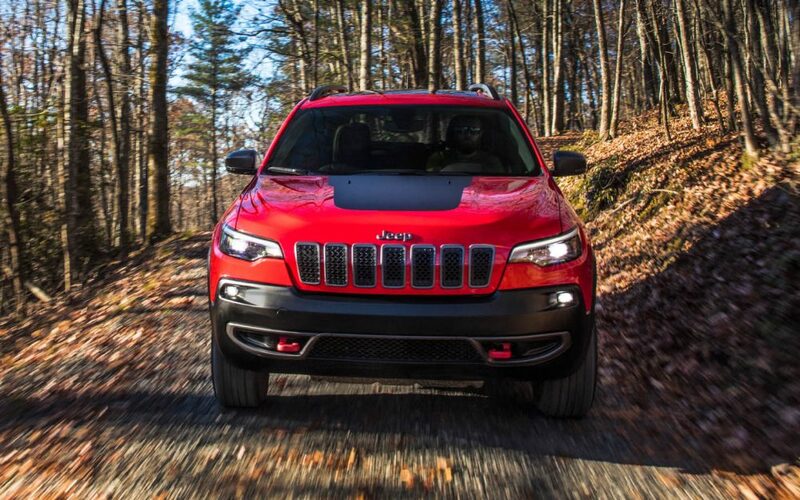 If you want a powerful engine that is also efficient, you can’t beat the engine in the Cherokee. The Cherokee comes with an optional 2-liter turbo, 4-cylinder engine that produces 83 horsepower more than the CX-5. In all, you’re getting a 270-horsepower compared to the 187-horsepower engine of the CX-5. 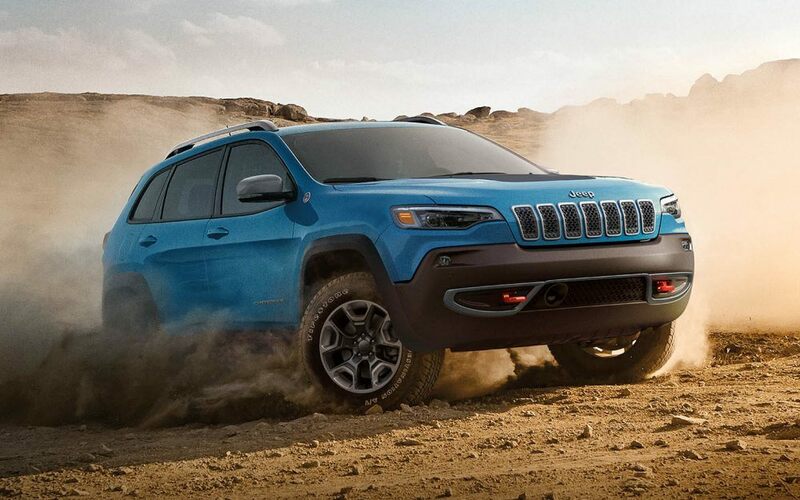 The Cherokee also provides more torque. Compare 295 pound-feet of torque in the Cherokee to the 186 pound-feet of torque in the CX-5. There is also an optional V6 engine for the Cherokee that makes the Cherokee the best option if you want a vehicle that is able to handle everything you need. You’ll be able to tow and haul like never before with the incredible engine in the Cherokee. Choose between the 2019 Jeep Cherokee vs 2018 Mazda CX-5 at our dealership in Boulder Colorado. The 2019 Jeep Cherokee offers several enhancements vs. the 2018 Mazda CX-5 when it comes to stopping power. The ability to quickly and efficiently stop can help prevent an accident and keep you safer on the road. The Cherokee comes with 13 inches rotors and is able to stop within 121 feet when cruising at 60 miles per hour. In comparison, the smaller CX-5 rotors are only 11.7 inches and take 136 feet to come to a complete stop from 60 miles per hour. That extra 15 feet is a car length, and it can mean the difference between getting a tow truck and driving away from a sudden stop. The Cherokee also has larger tire options than the CX-5. The larger tires contribute to a more stable ride and better overall handling. At Pollard Jeep, we are proudly serving Boulder Longmont Denver area customers. Give our dealership a chance to show you how the Cherokee beats out its competition, and we will help you get the financing and incentives you need to enjoy your new vehicle. Our professionals will take you for a no-hassle test drive, and then we can sit down and discuss your options. If you want to take home a new vehicle today, we can make that happen. Just give us a call or stop by to find out more about our latest offers so that you can get the vehicle you want at a price you can afford. The 2019 Jeep Cherokee offers more value and features vs. the 2018 Mazda CX-5. 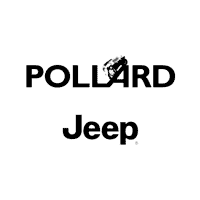 At Pollard Jeep, we are proudly serving Boulder Longmont Denver area shoppers.